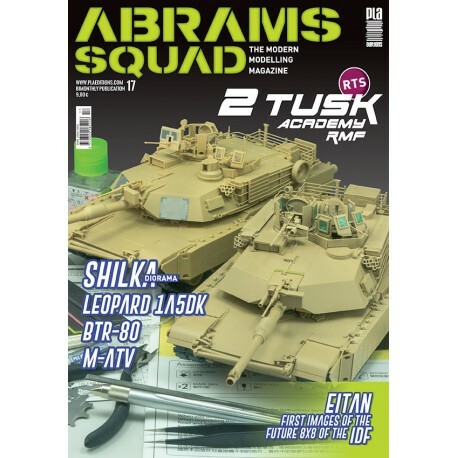 8 – Remote Thermal Sight: In this new submission of Abrams Squad we offer you two new model kits in our build review section. Not one but two Abrams released few weeks ago, the one from Rye Field Models and the one from Academy. Both give several options to build and we opt to mount the TUSK I over an A1 and an A2. As you will see, both models are excellent and we are sure than many of you have already got them in your own shelves. 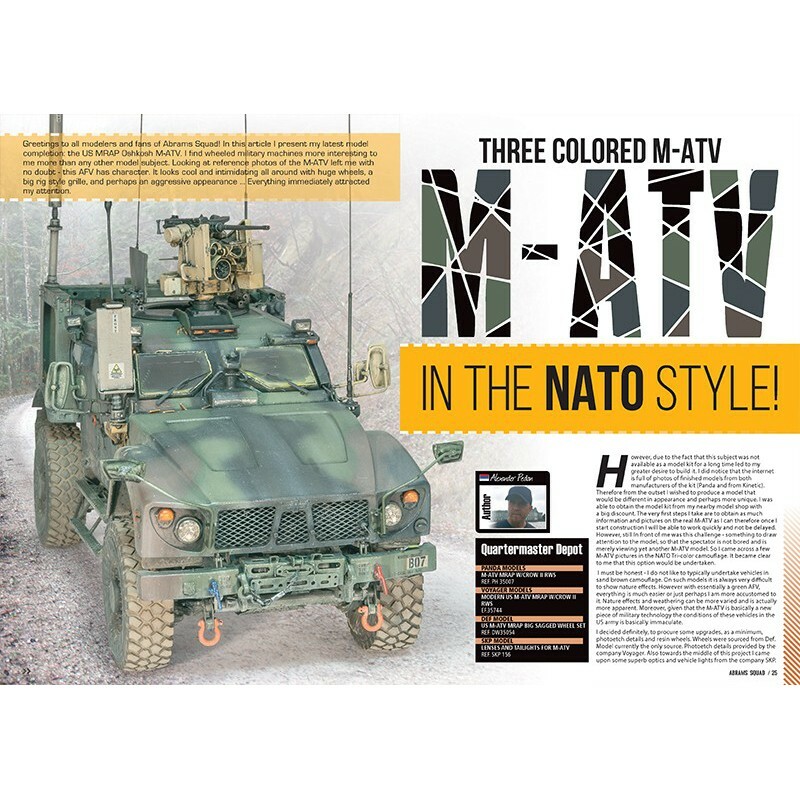 24 – M-ATV in the NATO Style! : Alexander Pedan joins the Squad from Saint Petersburg, Russia. One of the most talented Russian modellers of the current fold that dares to be different with a fairly popular subject but painted in a different manner: NATO camouflage instead of Sand base paint. Alexander can not only paint models, he also likes to super detail them, and that’s what he shows in this article. 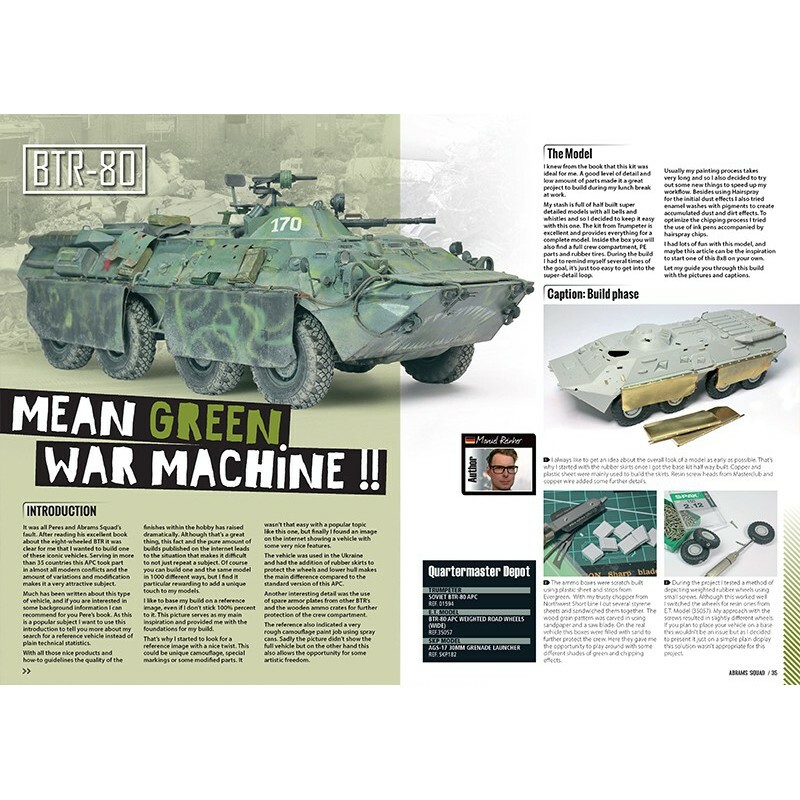 34 – BTR-80 Mean Green War Machine: The BTR is a very popular subject. We know it well due to the massive success that our special issue about the eight-wheeled vehicle is having all around the world. Manuel Reinher is one of those modellers who was inspired by our book and built his own BTR full of modifications to make it unique and spectacular. 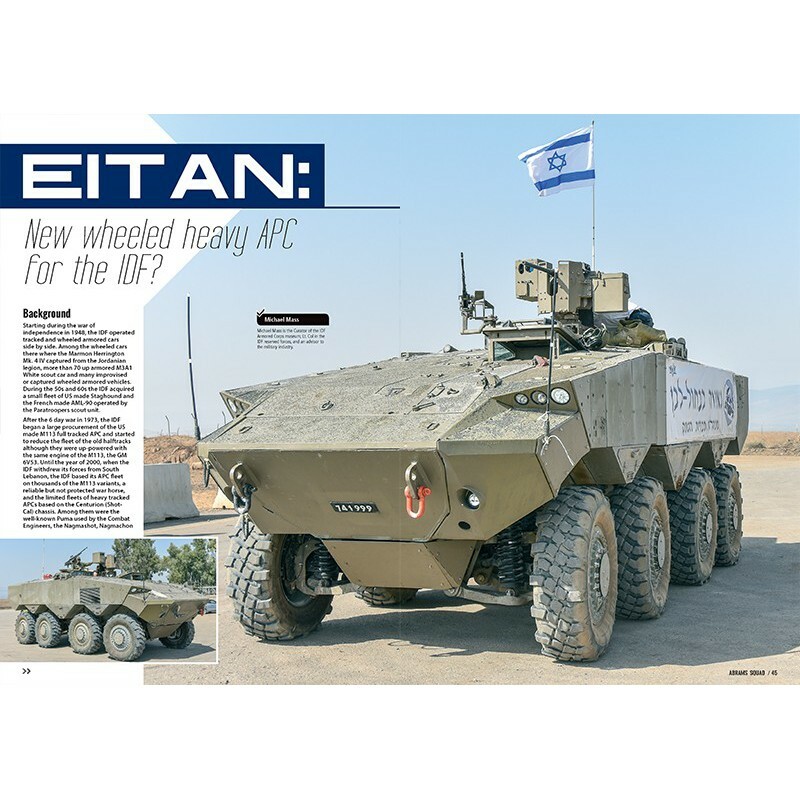 44 – Eitan New wheeled heavy APC for the IDF? : Now we offer you a short article about the introduction of the new heavy armoured personnel carrier of the Israeli Defence Forces written by Lt.Col. Michael Mass, no less. 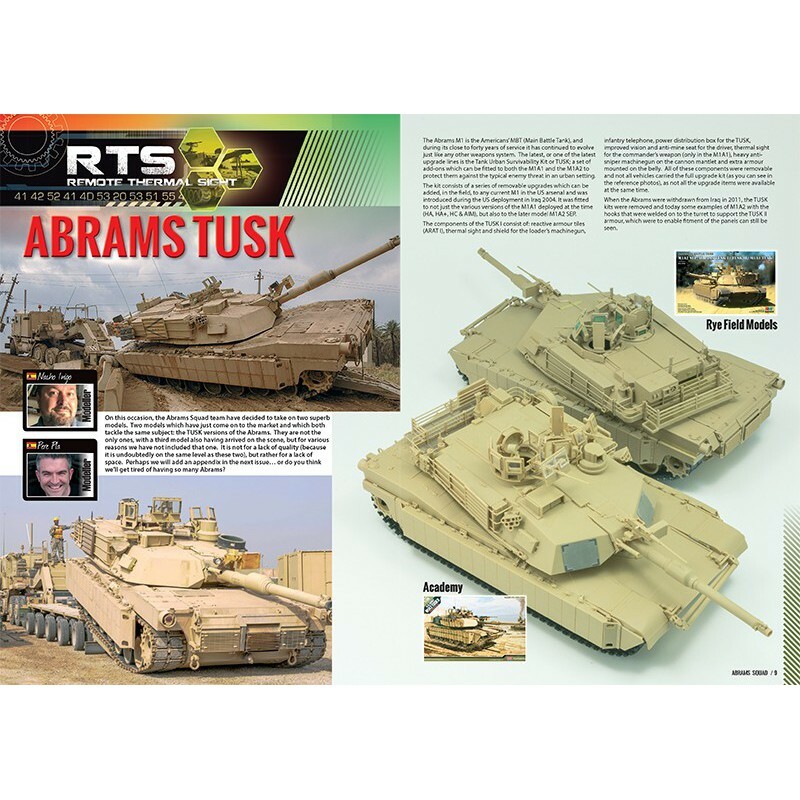 Mr.Mass is known for being the Curator of the IDF Armored Corps museum and the editor of famed AFV publisher Desert Eagle Publications. 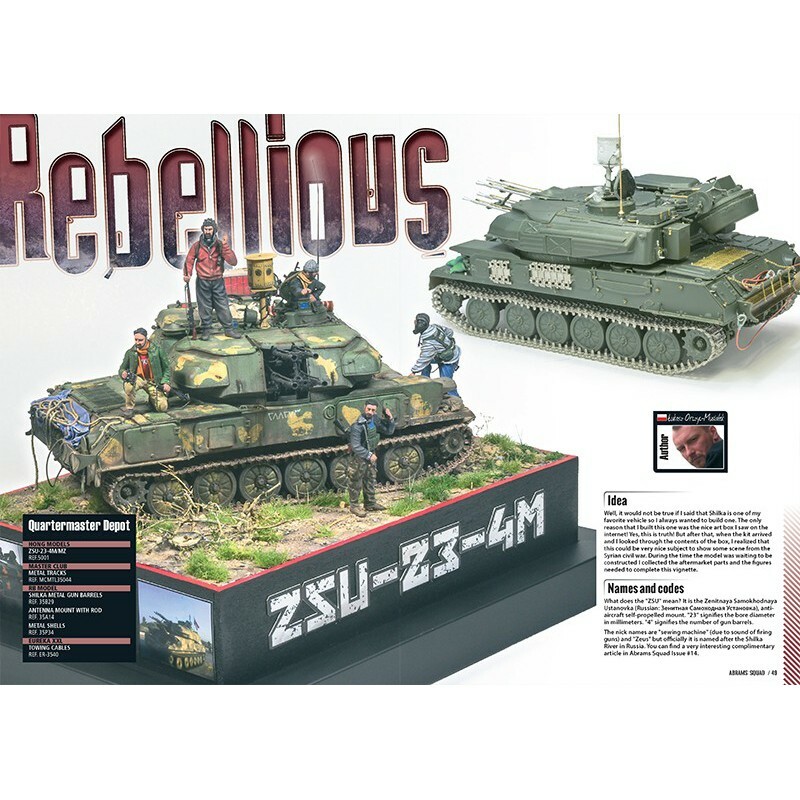 48 – ZSU-23-4M Shilka Rebellious: Łukasz Orczyc-Musiałek brings us one of the kits that is proving to be a big hit in the current market, Hong’s Shilka. Moreover, he paints it as seen in the current news media as one of the vehicles in an active conflict. This style is drawing the attention of modellers from all over the world. You won’t be disappointed with Lukaszs work on weathering, enhancing details and adding spectacular effects. 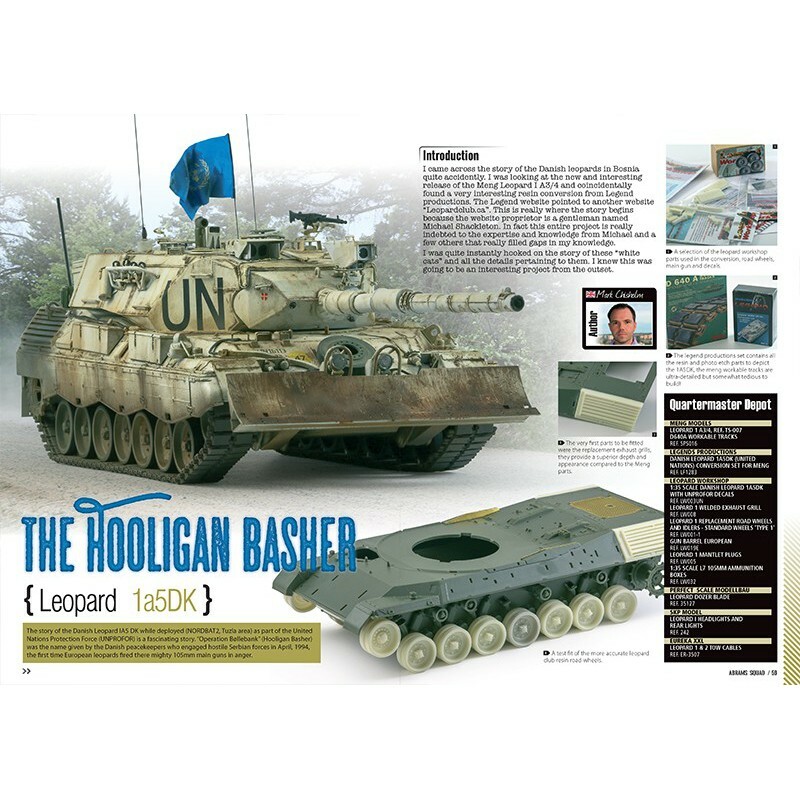 58 - Leopard 1A5DK The Hooligan Basher: Besides joining the staff of Abrams Squad, Mark Chisholm teach us how to build one of the versions of the famous Leopard that was employed in the Balkans under the UN flag. One of those articles that we like to see combining: history, technique and art in equal measures. 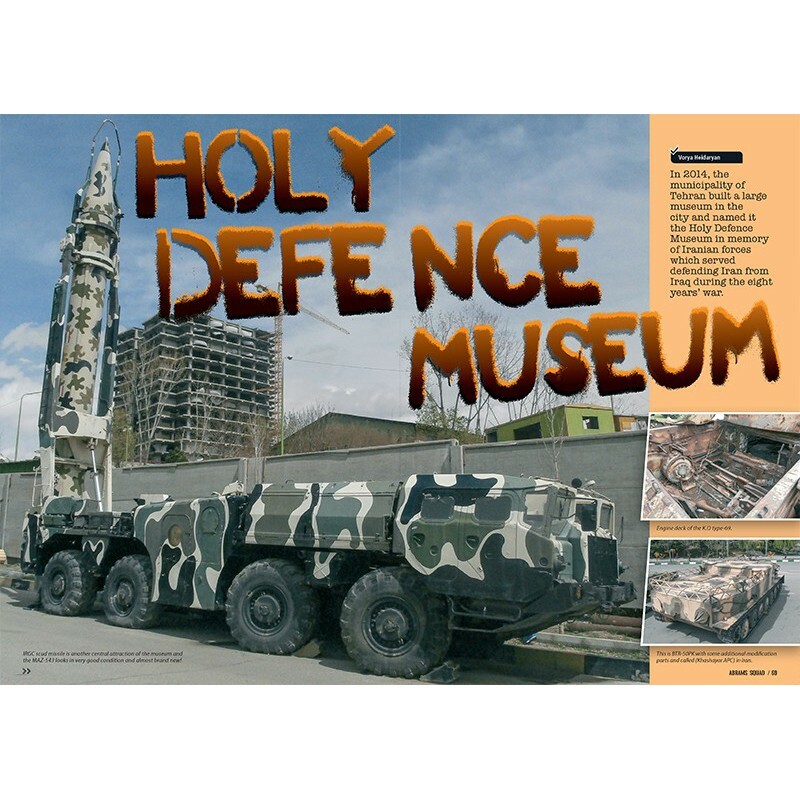 68 - Iran Museum: Directly from Iran, Vorya Heidaryan publishes a graphic report of the Holy Defence Museum of Teheran, a display of artefacts that pay tribute to the combatants of the war against Iraq in the 80’s.